With rainy days showering across the country, never miss out a heartwarming bowl of hot Bulalo (a beef shank soup) while in Tagaytay, Cavite. It’s an original Filipino stew cooked with beef shanks and bone marrow. 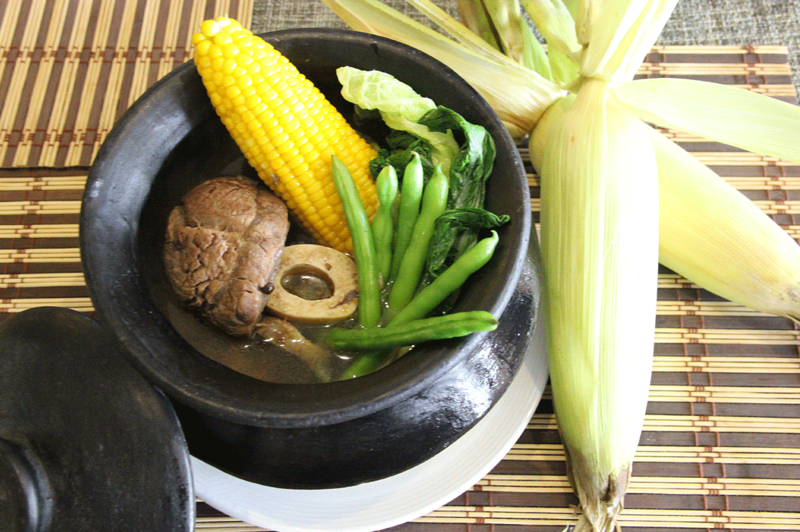 With only a few simple ingredients, the traditional Bulalo dish is definitely easy to prepare. The beef shank is simmered in hot water with onions, leeks, salt or patis (fish sauce), and pepper until the meat is tender and the collagen has melted and mixed into a clear broth. Water is added if necessary, and, if the dish tastes flat or bitter, a pinch of salt or a few drops of patis can be added. Finally, corn cobs cut into segments, chunks of potatoes, and greens – Chinese cabbage and green beans, are added then altogether the dish is boiled for about 5 minutes. Other ways of cooking Bulalo includes adding chunks of saging na saba (cardava banana) for a bit of sweetness which can also be substituted with potatoes or sweet potatoes. Filipinos are known for creating various adaptations to a certain dish. Many claim the dish originated from Tagaytay’s neighboring province, Batangas, where cattle-raising is one of the leading industries in the Southern Luzon region. Its vast grasslands and calming atmosphere is an ideal setting for raising livestock and even poultry. 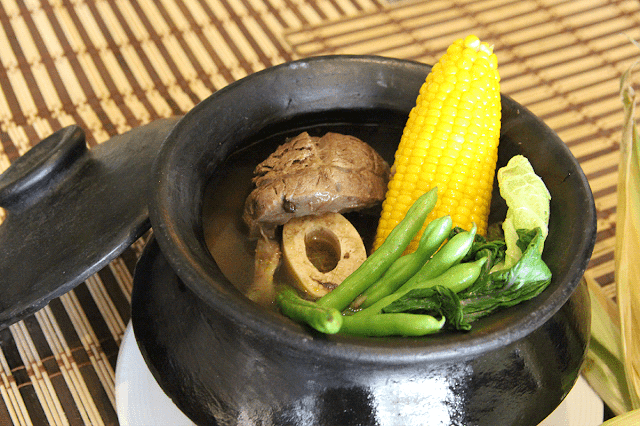 With Tagaytay’s naturally cool climate, Bulalo is a perfect match for the region. Each area in the Philippines has something unique and delicious to offer, making the country a great foodie destination. Bulalo is a testament to the Filipinos’ love for food, with its delicious flavors crafted with care by Filipino hands using the finest of local ingredients. So when you visit, Tagaytay, it would be a waste to leave without trying the region’s most popular dish!